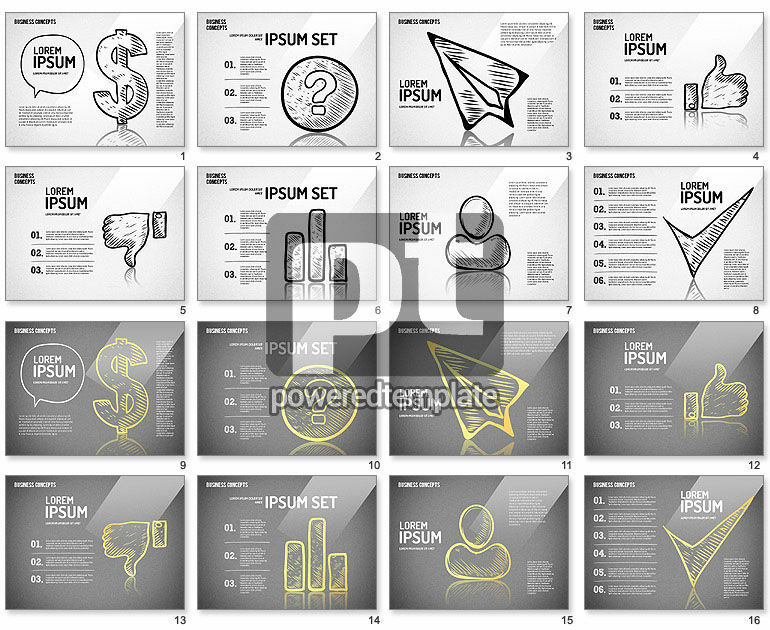 These presentation slides 42068 are complete compatible with Google Slides. Simple download PPTX and open the template in Google Slides. Meet this fabulous template which will help you to create not only an unbelievably great presentation but a good mood and positive emotions. It is made in a nice hand drawn style in white-grey-black-yellow palette and has such elements as a paper plane, thumbs up and down, human icons, ticks, question marks and other elements which make the style. Also there are two background color solutions.